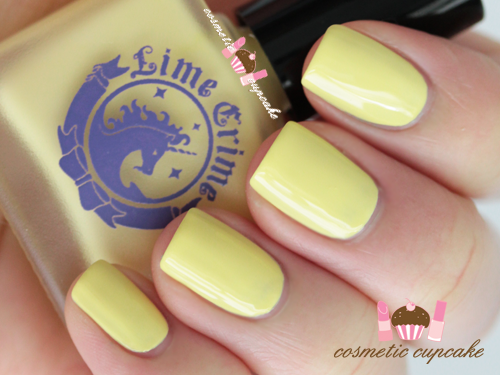 Cosmetic Cupcake: Lime Crime Crema De Limon plus a little glitter! 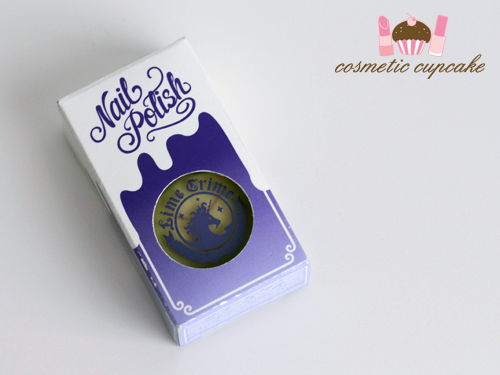 I've wanted to try Lime Crime polishes for the longest time and Ange and Anita very kindly picked me up a bottle when they went to IMATS a few weeks back!! 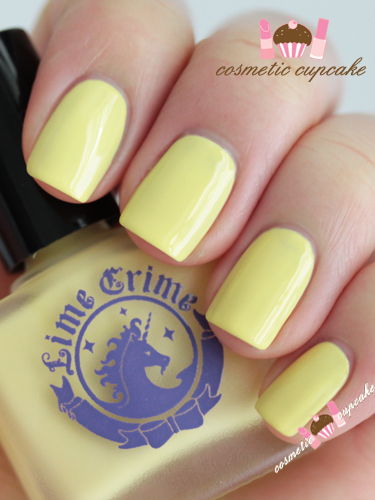 I love yellow and they gifted me the cute Crema De Limon and I have some quick swatches for you today. 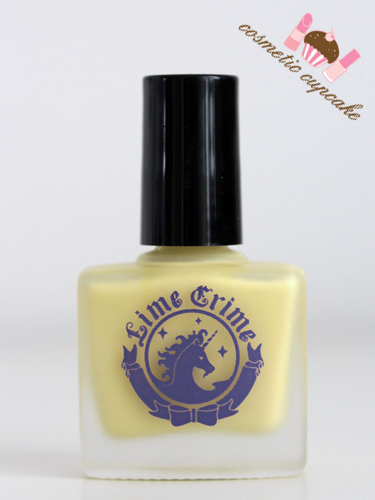 Crema De Limon is a pale yellow pastel creme. Application wasn't as good as I hoped but I think I rushed when applying it so I had to use 3 coats for opacity. The brush is great to use and it dries quickly to a glossy finish. During the warmer months I can't get enough of yellow so I'm going to be wearing this a lot! I decided to add some glitter to spice things up a bit! I used 2 coats of Sephora by OPI Only Gold For Me Top Coat. this one's a pretty color! I would love to get it some day. 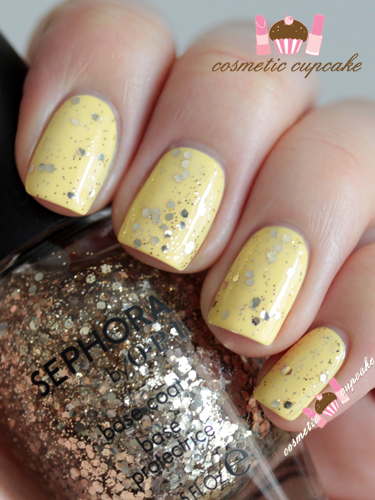 & love the glitter! It's really too bad Lime Crime is the worst company to buy from, from running charity scams to an overall horrid treatment of their customers. Their cosmetics are also known to be repackaged private label, hence the poor quality. But really with a lipstick sold for $16 when it's probably worth $1,60 (the packaging being what costs the most), what do you expect from a known con artist such as Xenia "Doe Deere" Vorotova.